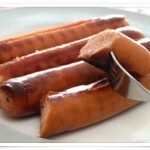 The most well known and common form of creatine. 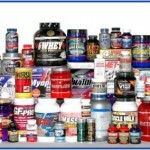 It seems to be the most cost-effective supplement in terms of muscle mass and increased performance. 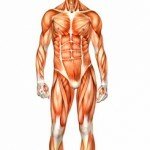 Creatine aids protein synthesis – protein synthesis makes muscles grow – Creatine = good! Creatine supplementation has actually been studied for 80 years! To get some more info on Monohydrate, go to this BodyBuilding.com article. Creatine Ethyl Ester HCL (CEE) is creatine monohydrate with an ester attached. Esters are organic compounds that are formed by esterification – the reaction of carboxylic acid and alcohols. CEE gains have been reported as larger and faster, but continual studies are being conducted as we speak. Bottom line from most studies is that CEE is revolutionary. Good for us! The HCL form of creatine claims to be different than the rest. 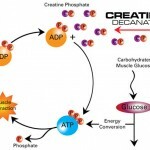 It claims to have no loading phase (though we think a loading phase isn’t necessary for any form of creatine, which we will discuss in Creatine Rountable – Part 3: What’s It Do?). No cycling on and off, no bloating and no water retention. Creatine HCL was discovered by accident when they were synthesizing the ingredients for CEE. This article details Creatine HCL pretty well. Creatine Nitrate has about 10 times the water solubility as does either creatine monohydrate or buffered creatine. In other words, 10 times as much creatine is needed in a certain volume of water for a precipitate (sediment) to form; this likely means that creatine nitrate would be more palatable than creatine monohydrate when drank. So seemingly, creatine nitrate requires less dosing than standard Creatine Monohydrate, for example. Without cluttering this article too much with scientific compounds and formulas, allow us to direct you to this other article that provides a more in depth molecular opinion on Creatine Nitrate. Creatine Malate is a rare form of creatine. This form consists of Creatine Monohydrate being molecularly bound to Malic Acid. When Creatine bonds to an acid, it typically breaks the Creatine down into Creatinine. Creatinine is a waste product of Creatine, and you do not want Creatine to convert to Creatinine in the body. Bonding Creatine Monohydrate to Malic Acid is difficult to do, but it can be done and it has been done, hence Creatine Malate. There is a decent post on the SupplementReviews.com’s forum about Creatine Malate. The benefit of Creatine Malate, is that it blends with water easily, as the malic acid combines with the water because of the stronger chemical attraction, than Creatine Monohydrate has to water. Meaning it doesn’t break down into Creatinine very easily in water. This helps with gastro-intestinal issues. The second benefit of this, is water bonded with the Creatine Malate is then transfered throughout the body quickly. The downside to the bonding to water, is that the Malate doesn’t release it’s bond very easily. Meaning that some of the Creatine Malate is simply flushed through the system without entering the muscle cells. Creatine Malate is generally not sold on it’s own, and is generally sold in a blend of Creatines, as it’s a faster absorbing Creatine than other forms like CEE or Kre-Alkalyn, and is mostly used to promote a quicker absorbtion while you wait for the longer absorbing Creatines enter the blood stream. So there are no recommended dosages for Creatine Malate individually. Creatine Magnesium Chelate is a form of Creatine Monohydrate that is chemically bonded to Magnesium. We found that Predatornutrition has a fairly recent write-up on Creatine Magnesium Chelate and what the idea behind it is. The idea behind MCC is that by using a different transporter to get the creatine to the muscle cells, less is lost in transport and broken down into the waste product creatinine. As such, the theory goes that using magnesium creatine chelate can lead to greater absorption of creatine into muscle cells with less bloating and side effects associated with creatine monohydrate. Magnesium is an alkali compound known to counteract the acidic environment in the stomach, which can lead Creatine to convert to Creatinine. Magnesium also plays significant roles in anaerobic activities, so bonding Creatine to Magnesium seems like a win-win. Creatine citrate is a Creatine molecule attached to a Citric Acid molecule. Citric Acid is a key component of the Krebs Cycle, the cycle which produces energy within a muscle. This article here details creatine citrate pretty well. Creatine makes muscles larger, drawing water in the muscle cells making each muscle fiber larger, stronger and able to survive longer workout hours and routines; when you add citric acid, there is increased muscular energy and better muscle power compared to using creatine alone. 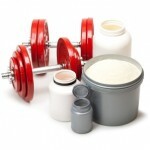 What’s the downside of Creatine Citrate? 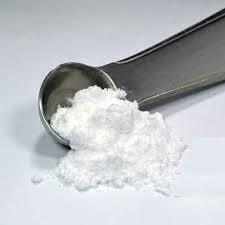 Well, you need more Creatine Citrate than other forms of creatine, milligram wise, so it is therefore recommended to use other forms of creatine, since they are also as effective, but more cost effective. Creatine Pyruvate is good. Really good. It is widely used and extremely effective in the sports world. This form of creatine is found in high quantites in red meats, apples, red wine, some cheeses, and a few other things here and there, in smaller quantities. What is it? Creatine Pyruvate is roughly 60% Creatine, and 40% Pyruvate, or Pyruvic Acid. Pyruvic acid happens to be a ketone. Know where ketones matter most? 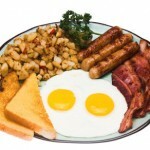 In a ketogenic diet! Gone Liftin’ has an article called Going Keto – Is A Ketogenic Diet Right For You? which explains ketones and ketogenic diets. Creatine pyruvate has the advantage of being better soluble in water than creatine monohydrate and thus can be sold as a component of sports drinks or in the form of effervescent tablets. After ingestion, the creatine-pyruvate molecule in the acid environment of the stomach rapidly splits to form creatine and pyruvate, and thus from a theoretical point of view might also combine the beneficial effects of creatine supplementation on the one hand, and the presumed ergogenic action of pyruvate on the other hand. Last but not least, we have Kre-Alkalyn, the newest form of creatine, patented in 2008. Kre-Alkalyn is based on the science of Creatine Monohydrate breaking down quickly into Creatinine, in high pH environments. What’s this mean? The human body has a high acidic environment, which means there are high pH values in our bodies, which means that Creatine Monohydrate isn’t as effective as it could be. A great benefit of having the Creatine staying in its pure form, is that it then doesn’t have any fillers attached to it which may block the absorption of it into the muscles. This form delivers the purest form of Creatine to the muscle cells, therefore giving the best performance. Does this seem too good to be true? If so, that’s cause it is! Kre-Alkalyn is an awesome variation of Creatine, and it is becoming increasingly popular in the bodybuilding community. Kre-Alkalyn absorbs quickly and effectively into the muscle, providing great energy to the muscle for truly enhance performance at a high level. Not to mention, the breaking down of Kre-Alkalyn into Creatinine is an extremely difficult task, so conversion factors are virtually eliminated. Well there you have it guys. A great rundown list of the various forms of creatine. 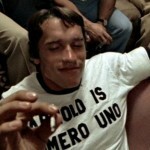 Now, young grasshoppa, the next step is to go to Creatine Roundtable – Part 3: What’s It Do? 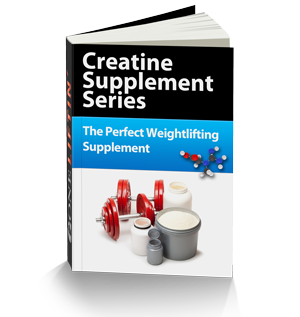 and get an in-depth look at the effects and benefits of Creatine.